Quality & comfort, for you, for life! The increasingly popular, Twist Turned Pencil Bed is a charming example of romantic wooden furniture. The individual bed panels in combination with the twisted posts create an air of elegant sophistication in your bedroom. Sharing the same high degree of luxury and comfort as its sister, with turned posts. 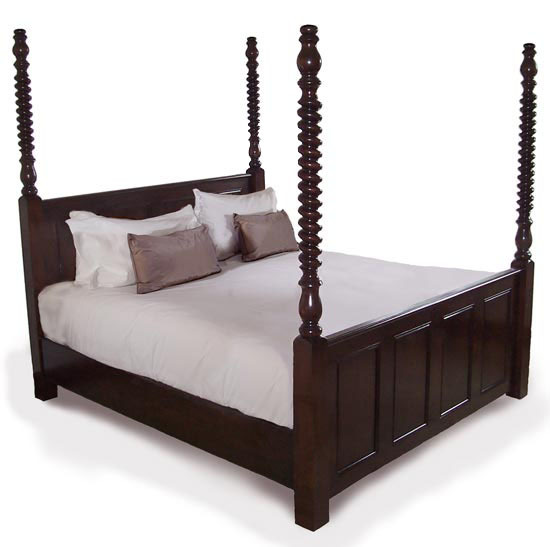 All of our beds are made to order, to suit your requirements. Where applicable, height can be increased and cost is at 5% extra per 6″ increments.